Little Gifts and Things is an independent retailer specialising in gifts not easily found on the high street. The implementation of a Drupal e-commerce website has allowed them to expand their range of products. The new Drupal e-commerce website also allows Little Gifts and Things to effortlessly update whilst maintaining a clear and easily navigable designed website. 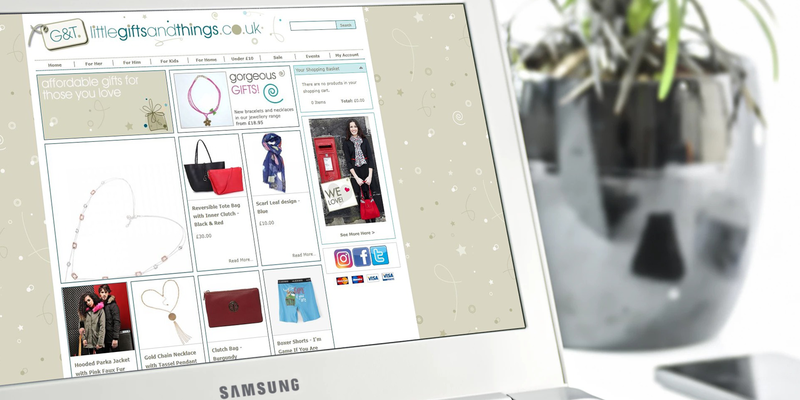 The Little Gifts and Things website also has all the features the modern internet user expects of an e-commerce site, including social media links to enable people to share their unique finds, and a quick search function in addition to category browsing.